Get in the Halloween spirit with Swagbucks! Stock up on Halloween candy and decorations, and get those costumes ready for the big day! 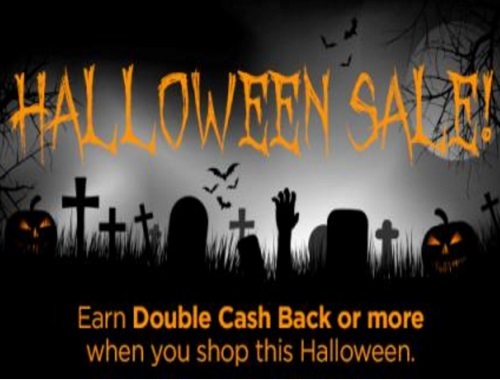 Swagbucks, an online rewards program that gives you cash back for completing online activities such a shopping online, is running a great Halloween sale on their site now through the end of the month. Earn Double Cash Back or more when you shop the Halloween Sale at your favorite stores including: Costume SuperCentre, Well.ca, See's Candies, Anytime Costumes, The Home Depot, Sephora and many more! Click here to join Swagbucks if you haven't yet.